My children and I made these fruit plates a while back – We loved putting these together because they were not only yummy and fun to make, but we made them with LOVE. Fruit plates are a great way to teach your children about a topic you want them to learn about! While my kids and I put together these plates, we discussed what ‘love’ means to them, and how we can express our love through actions of respect and through words of kindness. 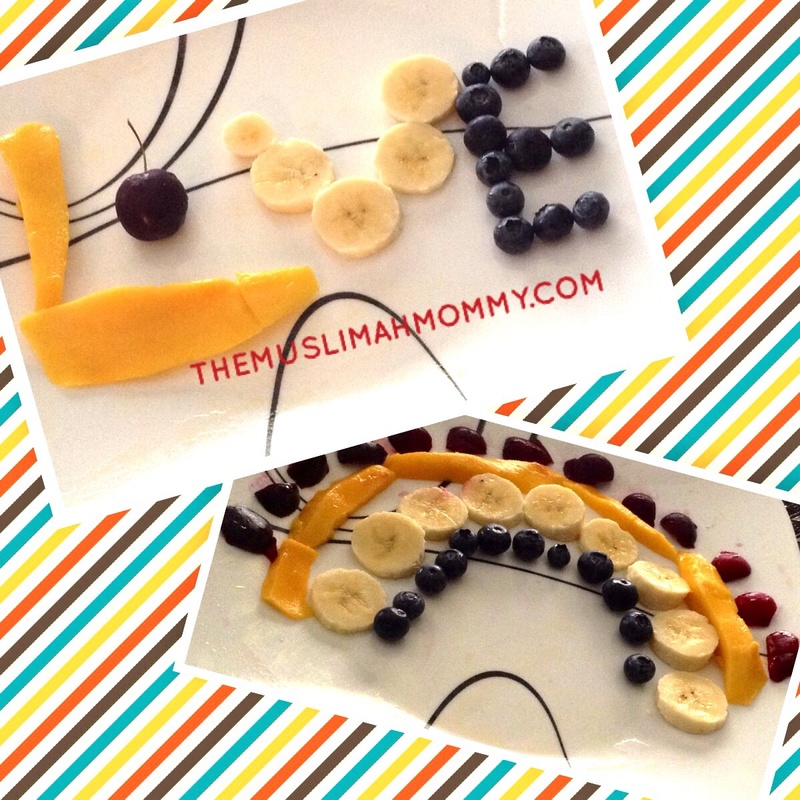 You can make a fruit plate with your children by choosing any theme, such as peace, equality, human rights, etc….Not only is this an activity where your children will learn about a certain concept, but it’s also a great bonding experience!